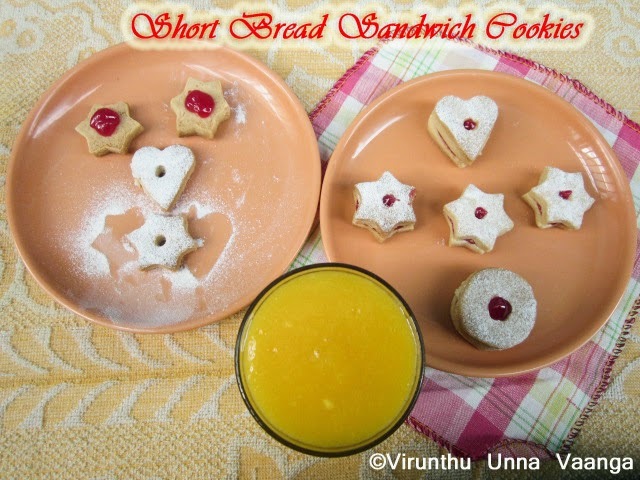 Hi friends, I prepared the cookies for last month HBC, but somehow I couldn't post on the particular time. 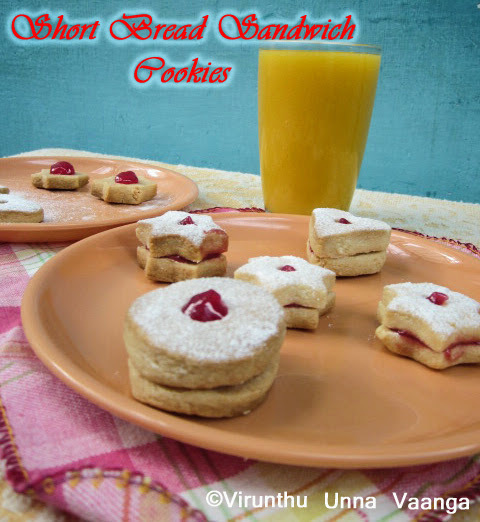 I prepared the yummy and crispy sandwich cookies for my cousin who is pregnant now. I packed the cookies for her and she was really enjoyed it well. Confectioner’s sugar – For dusting the cut-out cookies. 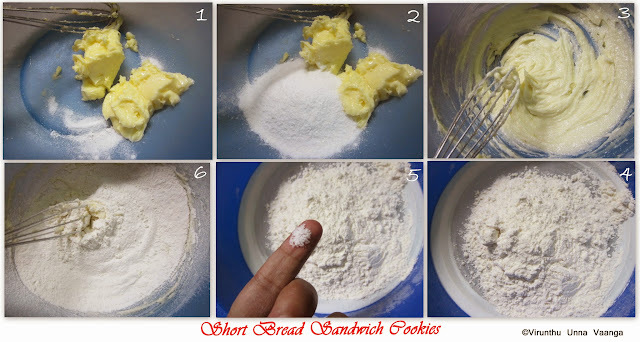 Preheat the oven to 350 F/175 C.
In a bowl mix together butter and sugar until they are just combined. Add the vanilla to it and mix it once. 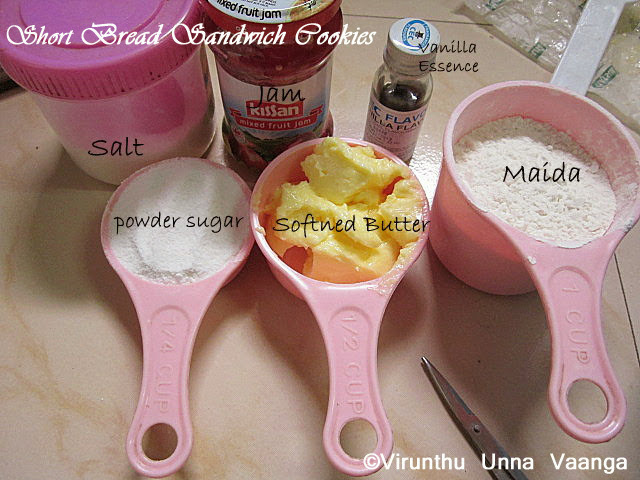 In another mixing bowl sift together the flour and salt, then add them to the butter and sugar mixture and combined well to make dough. Dump onto a surface dusted with flour and shape into a flat disk. Wrap in plastic and chill for 30-60 minutes. 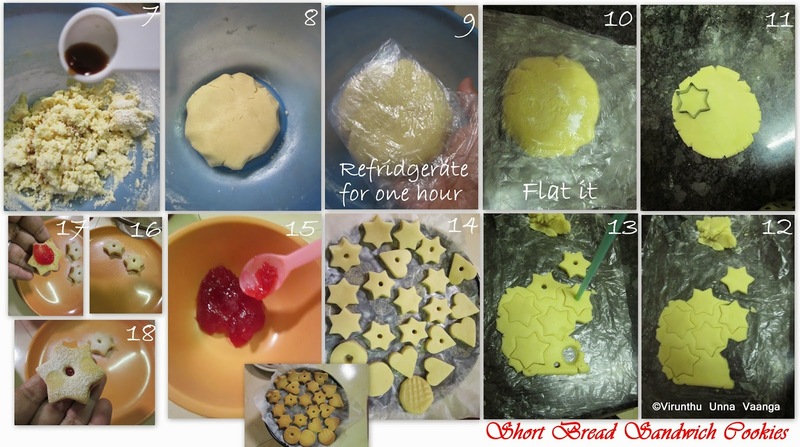 Roll the dough ¼ inch thick and cut 2 ¾ inch rounds with a plain or fluted cutter. With ½ of the rounds, cut a hole from the middle of each round with a straw or cutter. Place all the cookies on an ungreased baking sheet and chill for 15 minutes. Bake the cookies for 20-25 minutes, until the edges begin to brown. Allow to cool to room temperature. 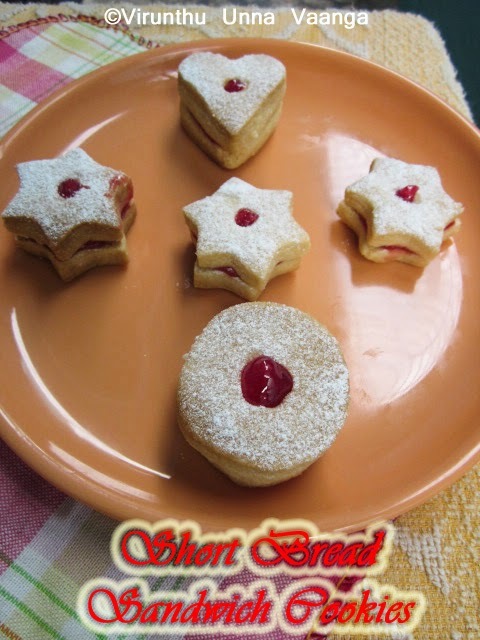 Spread the jam on the flat side of each solid cookie. 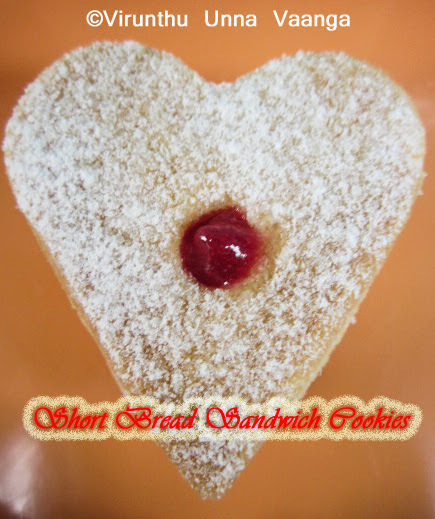 Dust the top of the cut-out cookies with confectioner’s sugar and press the flat sides together, with the jam in the middle and the confectioner’s sugar on the top. 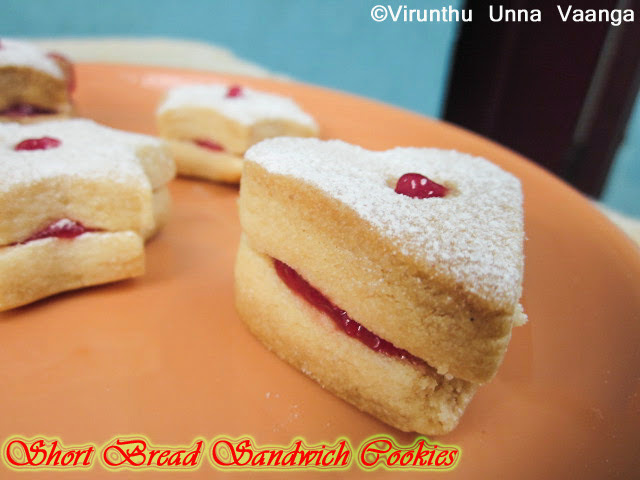 Delicious and Crispy Sandwich Cookies!!! 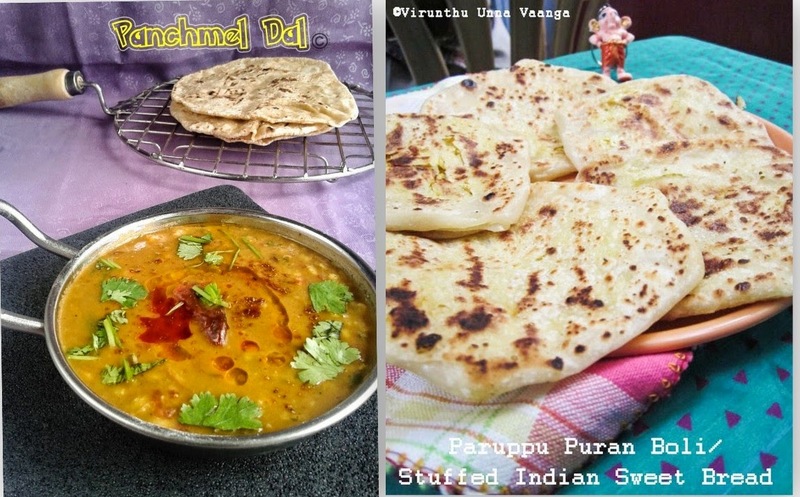 ENJOY WITH YOUR TEA TIME!! 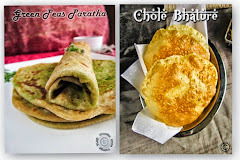 somehow missed this challenge :( but will surely give a try once.. perfectly made da..
last shot is too good :) licking one ! 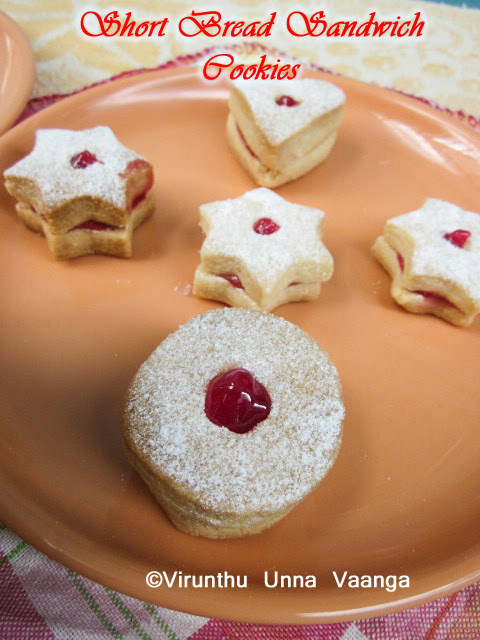 Scrummy looking cookies dear! Wish I could have one!! 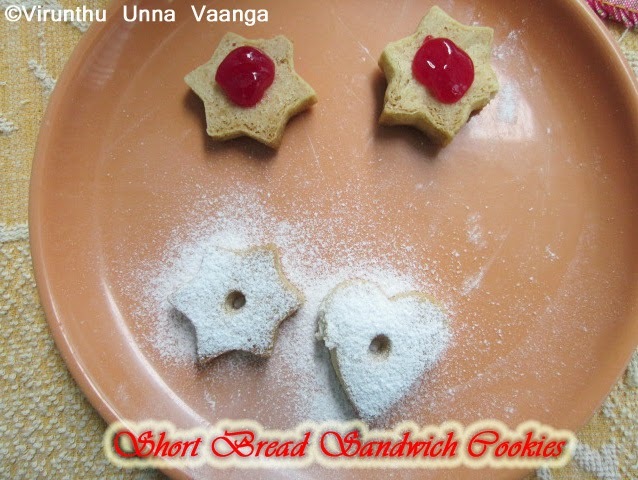 Super addictive and scrumptious cookies..Azhaga irruku da. 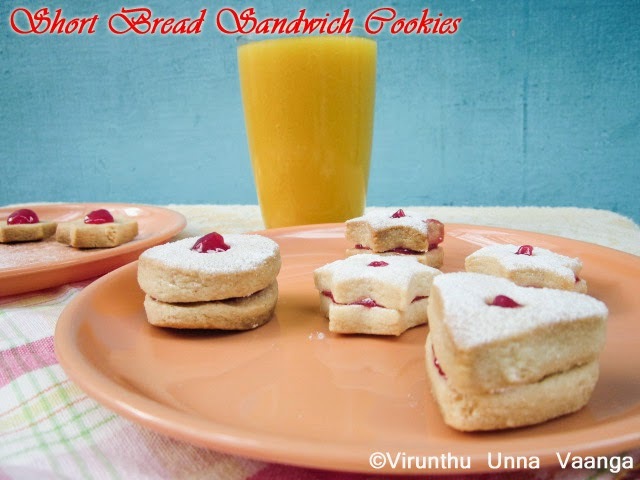 Wonderful cookies.. Looks so cute and delicious..
Will try this sometime, am sure kids will love it.